Splinter of Armor and Bless of Guardian, can be obtained in Crywolf from Hammer Scouts and above. Claw of Beast, can be obtained in Crywolf from Werewolfs and above. Max Success Rate 70%. If successful you will obtain: Piece of Horn. Max Success Rate 50%. If successful you will obtain: Broken Horn. Max Success Rate 30%. If successful you will obtain: Horn of Fenrir. Thank you for this nice upgrade! What has been changed to guardian spirit? Same here. I tried to craft Seraph and it requires Condor Feather. Forgot to mention Feather of Condor, i've updated the description. @BeL4eNaK how about returning the feather since it wasn’t into the description when I’ve crafted it? 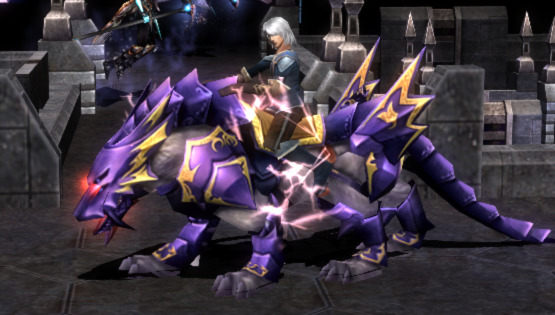 @BeL4eNaK how about coding an option at Jerridon to return back the Violet Fenrir? This way the player will lose condor feather and needs to use another to create other pet.